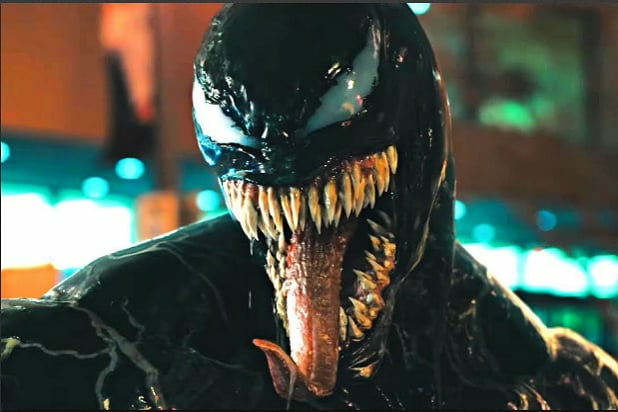 Sony showed a new trailer of “Venom” at San Diego Comic-Con 2018, and revealed that there’s gonna be a whole bunch of other super-powered alien symbiote creatures other than Venom in the upcoming pseudo-“Spider-Man” spinoff. The character Venom actually isn’t one person, but two: the human Eddie Brock (played by Tom Hardy) and an alien creature called a symbiote that bonds with him and acts as the black, shape-changing suit he wears. In the Marvel Comics universe from which Venom hails, he’s not the only symbiote out there. And the “Venom” movie is gonna have at least two other named symbiotes and a few others beyond that. The new footage shown at Comic-Con revealed that Riz Ahmed’s character in the movie, Dr. Carlton Drake, is also Riot, a symbiote character spawned from the Venom alien. There’s another famous villain-slash-alien symbiote spawn showing up in the movie as well: the psychopathic, ruthless villain Carnage, played by Woody Harrelson. 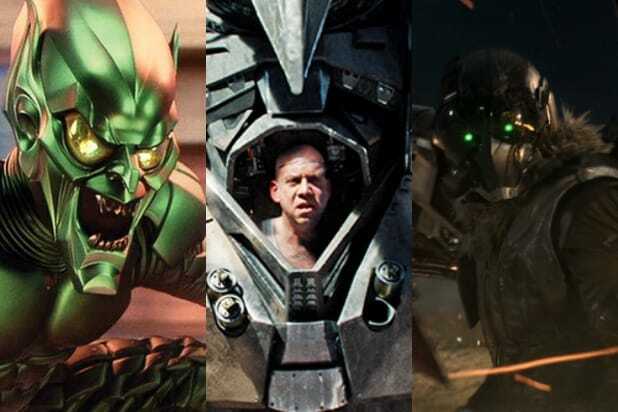 The trailer spends a lot of time with Drake, who is performing experiments with symbiotes by attaching them to people in an effort to make some kind of wacky super-soldiers. In one bit we see a woman who uses her symbiote power to turn her arm into a blade. But the big bad is Drake as Riot. The trailer ended with a hero shot of Venom and Riot fighting one another, before their symbiote suits peel back to reveal Brock and Drake within. Though the character Venom is usually a Spider-Man villain — in fact, the black symbiote was originally bonded with Peter Parker before it joined with Eddie Brock — “Venom” is a standalone movie. It looks to be treating the character as more of an anti-hero and focusing on Eddie and his experience joining with the symbiote suit to become Venom. After the first trailer dropped, “Venom” fans were enraged that it didn’t actually show Venom. The second trailer, which was leaked ahead of Sony’s CinemaCon presentation in April, showed Hardy in full Venom mode. The film, which is not considered a spinoff of the Sony-based “Spider-Man” franchise even though the character originated in the Spider-Man universe for which Sony controls film rights, also stars Jenny Slate and Michelle Williams . “Venom” is due in theaters October 5.